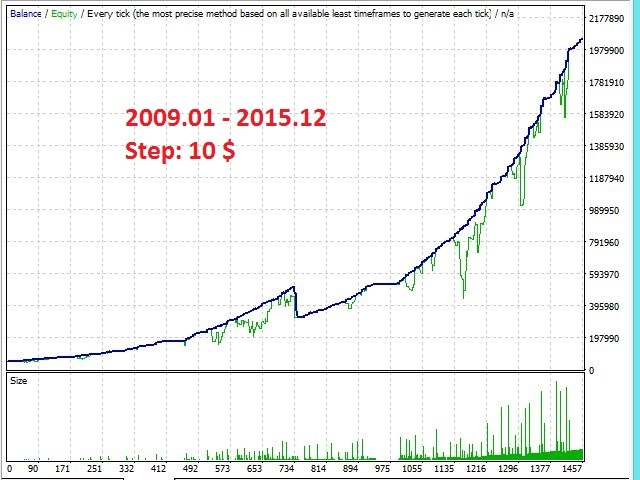 This expert advisor uses '' Improved Martingale System '' and it trades just on Gold in 1D period. 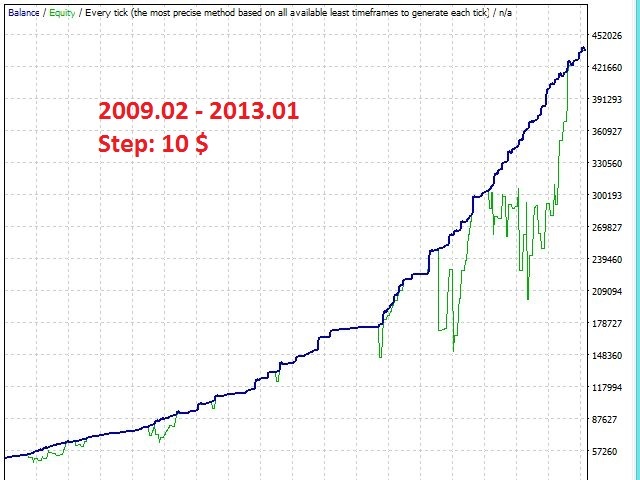 Goldexvisor is not a scalping robot, it trades in accordance with the long term market trend. 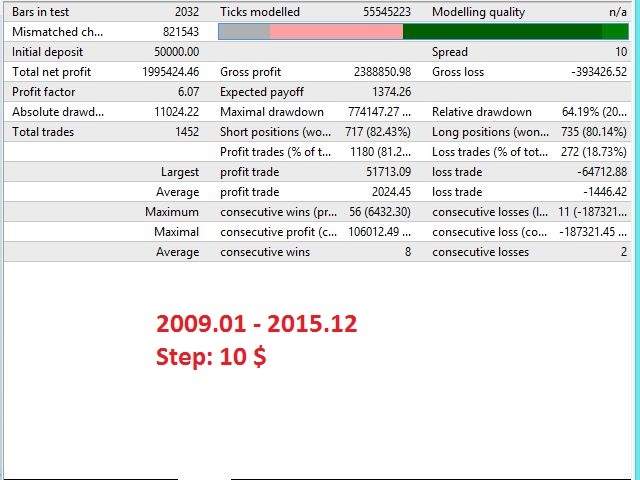 It does not open any position in opposite direction from the trend. 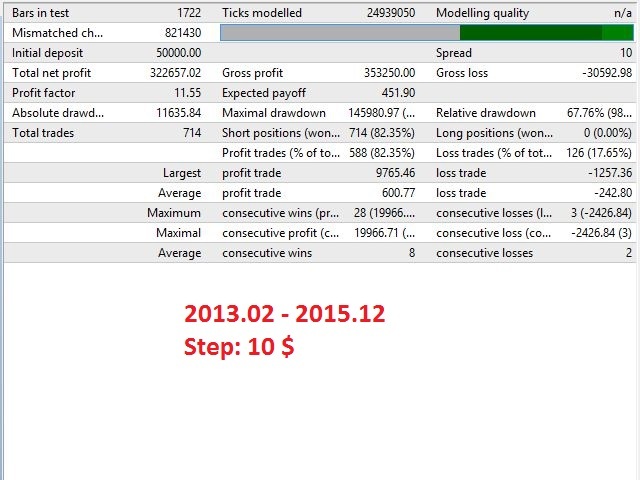 First, determines the trend after that opens position only in trend direction. 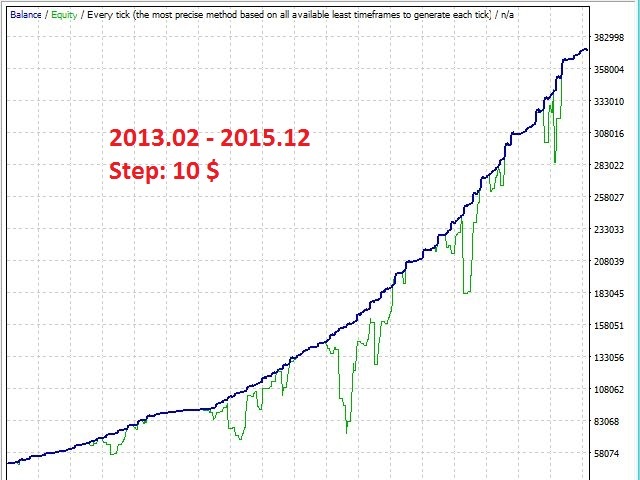 If price moves in the opposite direction to trend, martingale steps up. In case of having proper balance and setting proper volume, most probably goldexvisor will not to be stopped out in case the market price moves just one direction ( up or down) up to 150 $ in one day. Goldexvisor increases the volume as the balance grows.If the current market price moves away from the trend average price in specified amount, robot decreases the volume automatically for new positions.When the long term market trend reverses, Goldexvisor closes all positions even though they are in profit or loss and then it starts opening new positions in accordance with the new market trend. You can use this robot in a different way. 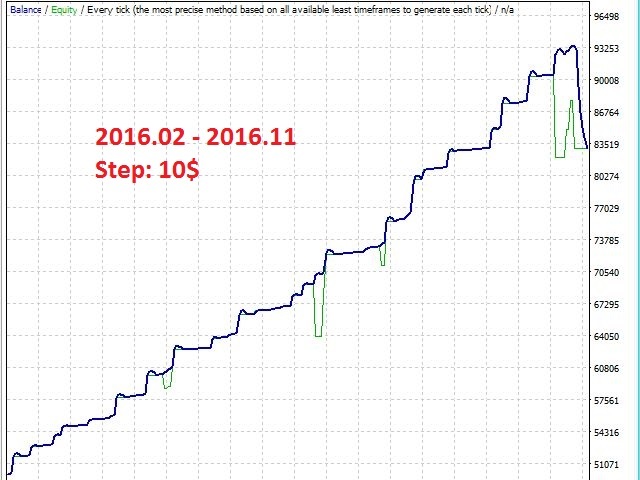 If you enter values for small and big average parameters, the robot will trade less, spend less margin, trade safer, and you can choose a lower deposit for the start.The less the main trend direction changes, the more profit the robot makes. 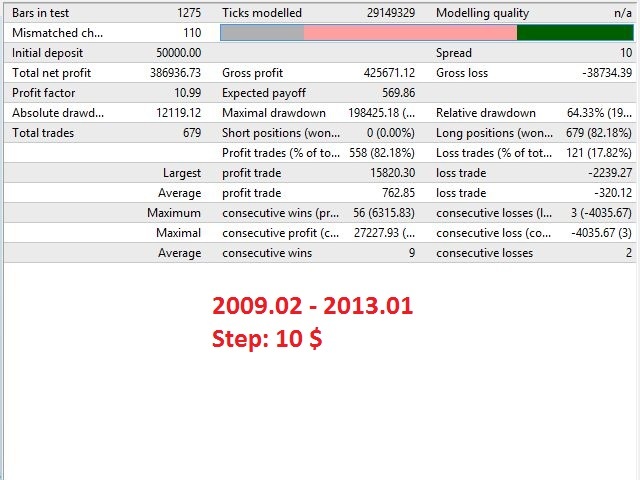 For example; The up trend continued from the beginning of 2009 until the end of 2012. The down trend continued from the middle of February 2013 until the beginning of 2016. 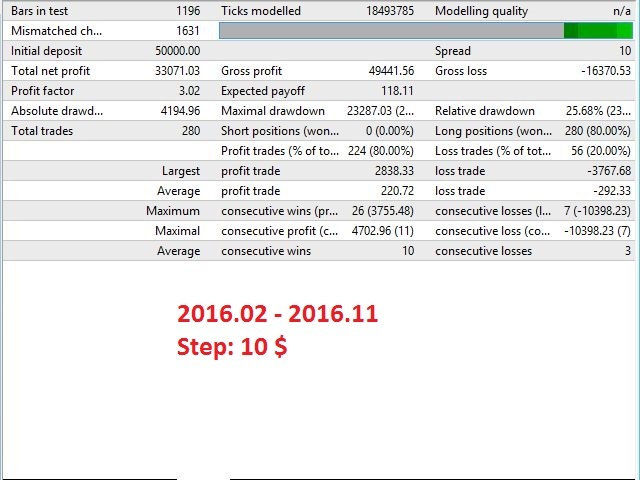 But from the beginning of 2016 until the present day, the main trend changed direction nine times. Because of this, the robot will provide much more profitability in a long main trend.